Wide format, in the printing industry, generally refers to any project exceeding 27” in width. Typically produced by sign and graphic shops, wide format is used for posters, POP displays, exhibition stands, information boards, commercial signage, vehicle wraps and more. Finishing your wide-format jobs is where Cortech can help. Many prints are laminated to protect them from the elements. Laminate film is also used to enhance the finished look, either by adding a gloss finish to make the image more vibrant, or by applying a matte finish to reduce glare. 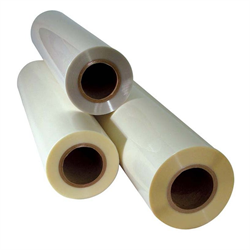 Cortech has wide format laminators and film for thermal and pressure-sensitive requirements. 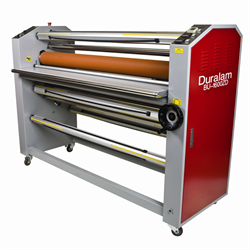 Designed to work with single-sided, double-sided and mounting applications, laminators range in widths from 38” to 63”. Wide format laminating films are available in our premium grade Platinum™ series, low-melt UV Diamond™ series and pressure-sensitive Stellar™ series. To further help with your finishing, Cortech carries a full range of cutting tools including substrate cutters and straight edges. Designed for precise and accurate cutting, these wide format cutters are ideal for a range of materials from foam board and inkjet media to corrugated plastic and PVC board. 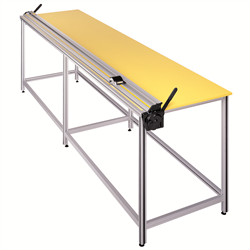 Matching work benches are available for select cutters, allowing for a complete cutting table system. Along with our laminating and cutting products, Cortech has presentation supplies such as hook and loop systems, and grommets to support your wide format finishing. Contact Cortech to help you with your wide format laminating and mounting requirements. Our experts are only a call away.